Jamaica’s capital city of Kingston has been topping lists of places for Canadians to visit in 2018. Resting at the foot of the Blue Mountains, Kingston is the cultural heartbeat of the island with its pulsating reggae rhythms, culinary offerings and rich history. Kayak.com recently listed Kingston as one of the top 10 trending holiday destinations for Canadians after the travel search engine saw a 39% rise in interest from Canadian travellers over the previous year. WestJet magazine also named Kingston the #1 place to visit in their list of the top 10 destinations to visit in 2018. The city is recommended for a growing local food movement, major infrastructure investments and a world-class music scene. Jamaica’s cuisine features a mix of cultural influences dating back to her Chinese, European, Indian and African ancestors. The result is an eclectic and tasty combination that is uniquely Jamaican. From jerk to ital cuisine, and from roadside cook shops to five star restaurants – the dining experiences are mouthwatering. Some popular spots in Kingston include: Gloria’s Restaurant, Chateau 7 Gourmet Jerk Centre, Redbones Blues Café, EITS Café and Devon House for ice cream. Life Yard is another popular culinary hotspot with a community-based urban farm and restaurant that celebrates Rastafarian culture. Approximately an hour from Kingston are the island’s famed Blue and John Crow Mountains, a UNESCO World Heritage Site and the highest mountain range in Jamaica. The Jamaica Blue Mountain Culinary Trail is a new gastronomy initiative from the Ministry of Tourism that features 15 participating eateries and attractions in the Blue Mountains. Jamaica Blue Mountain coffee is one of the most expensive and sought-after coffees in the world and there are several plantations that visitors can tour here, such as the Craighton Coffee Estate, Clifton Mount Estate and the 200 year-old Old Tavern Coffee Estate. Recent upgrades to the North-South highway between Kingston and Ocho Rios have made the city more accessible from the north coast. Upgrades are also being made to the Norman Manley Airport and Kingston’s waterfront, with new restaurants and shops opening soon at Victoria Pier. Devon House and the Bob Marley Museum, two of Kingston’s iconic landmarks, have recently undergone major renovations to develop and preserve the heritage sites. And new and soon-to-open hotels such as the Courtyard by Marriott, R Hotel, and AC Hotel by Marriott are all adding to the city’s global appeal. Three music museums lead the way in portraying the city’s musical past. The Bob Marley Museum takes visitors through the late musician’s former home and recording studio and the newly opened Peter Tosh Museum celebrates the former reggae legend and member of Bob Marley and the Wailers. Additionally, a visit to the Trench Town Culture Yard introduces travellers to the housing project that is widely credited as the birthplace of ska, rocksteady and reggae music and immortalized numerous reggae songs, including Marley’s No Woman No Cry. The yard’s museum is stocked with Wailers memorabilia, including a rusted VW bus they used in the 1960s. 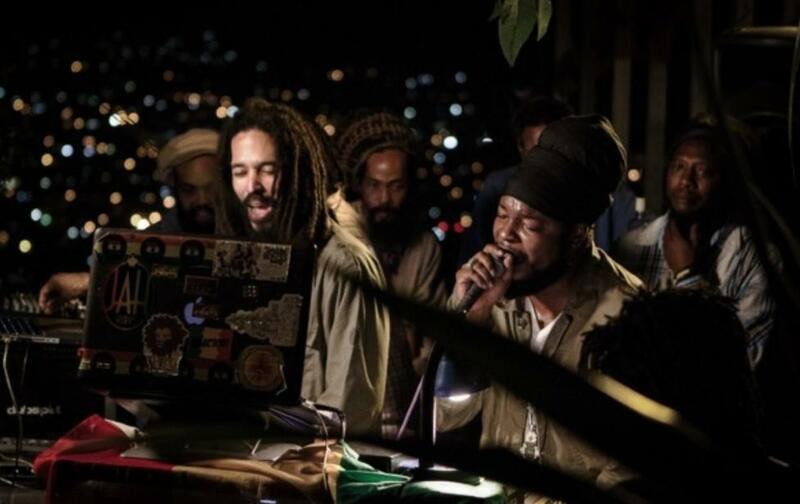 Many live music venues around the city invite visitors to experience Jamaican music first-hand, including Redbones Blues Café, Kingston Dub Club and The Deck. For further information on travel to Jamaica, please go to www.visitjamaica.com.